The brief was to create a contemporary stone house reminiscent of ancient castles. It was to be a home that had the best of the old and the new. The original home was built in the 1960's. Considerable modification took place but with care not to lose its original charm. The original 'language' of the house consisted of two parallel gables running along the site. A new upstairs study linked the two roofs with the ground floor below extended, creating a new medieval kitchen. 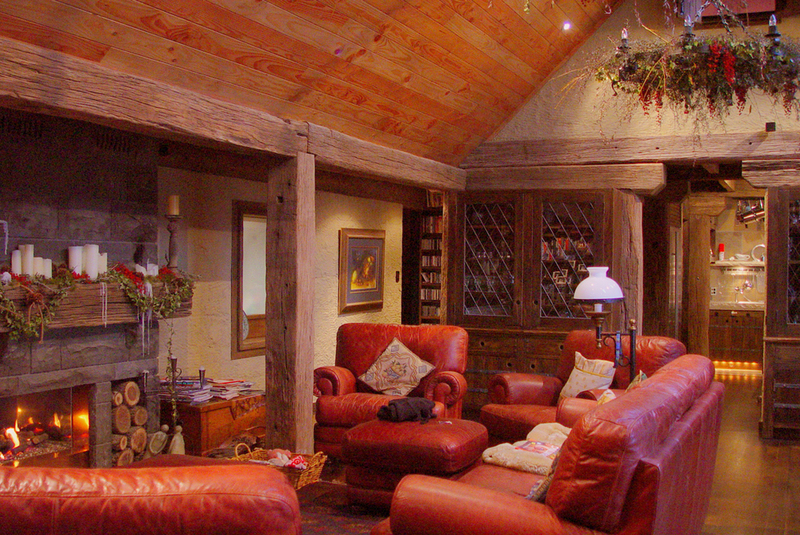 Chunky aged hardwood beams combined with hand adzed granite cladding were used, providing an air of days gone by. All joinery items, the largest being a massive front door, were handmade from tongue-in-groove oak, specially oiled and finished with wrought iron antique handles. Features of the home include a towering granite chimney, dominated at its foot by a huge outdoor stone fireplace complete with pig spit. 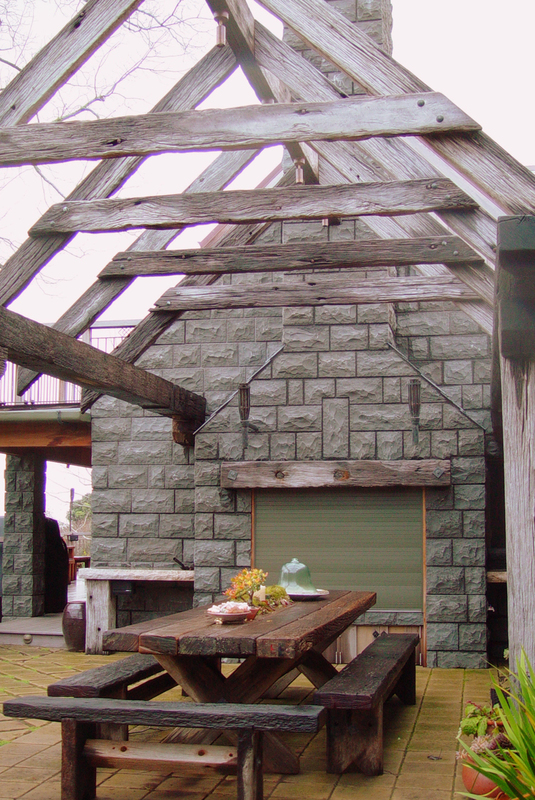 Beams from a Hokitika wharf define an outdoor dining room creating the ambience of a medieval hall. Hand made wrought-iron flares reinforce this theme which are run on gas and controlled electronically. At the same time the entire house underwent a technological overhaul, bringing anything with an electrical circuit into the realms of home automation. This allowed the client to remotely control everything from theme lighting and gas flares down to motion sensors controlling automatic doors into the pantry. This alteration won the NZIA Local Branch Award for Residential Design.